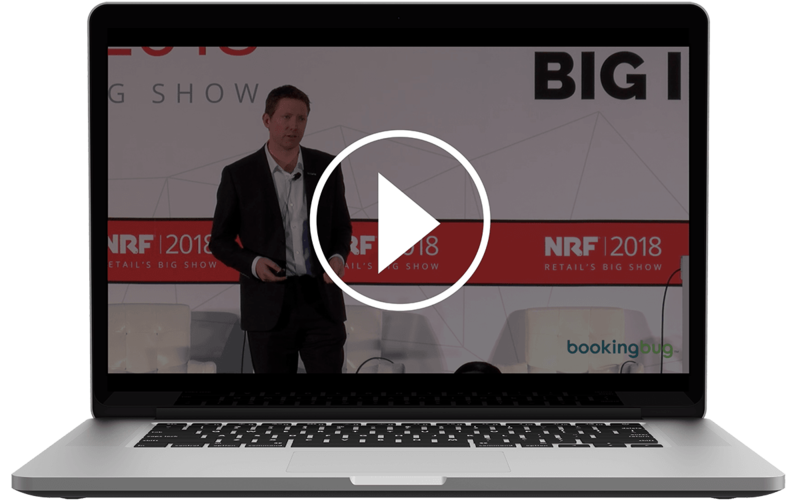 Our CEO, Glenn Shoosmith, wow’d the crowd at NRF 2018 when he presented BookingBug’s latest retail research. For the research, we surveyed 2,000 qualified retail shoppers in the US and UK about their shopping behaviors, preferences, and what they’d like to see more of from brands. After analyzing the results, we were eager to show retailers how they could improve customer engagement while simultaneously driving revenue. 68% of shoppers would consider attending retail events if invited. Watch the full video and learn more about the latest research and how some brands are using the information to lead the charge.